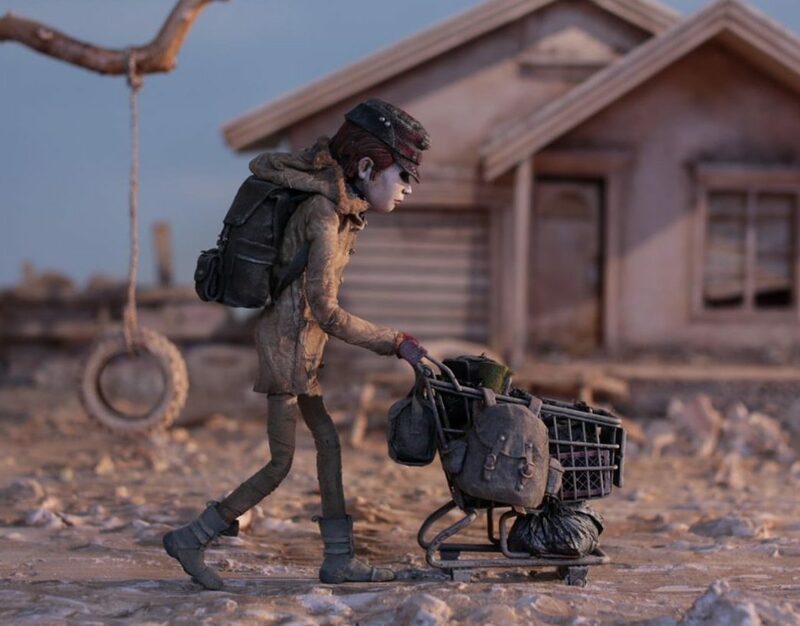 Puppet for Father John Misty music video ‘things it would have been helpful to know before the revolution’ directed by Chris Hopewell (Jacknife Films). 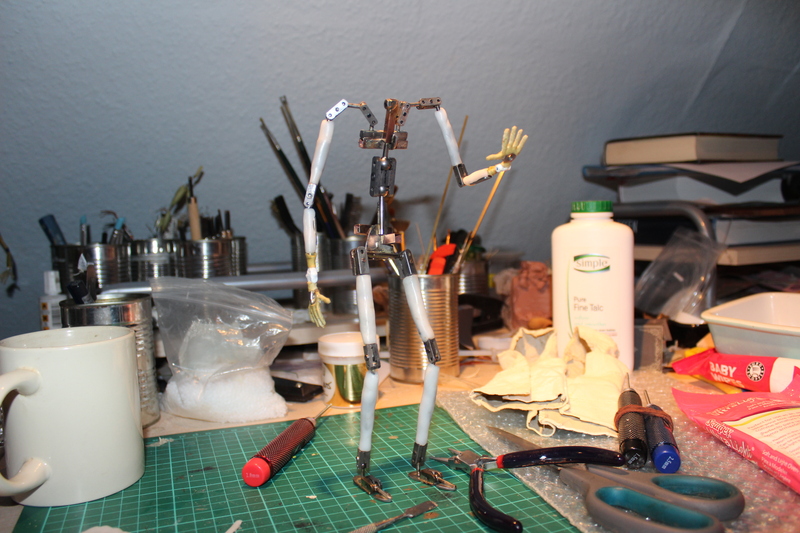 This puppet was a collaboration between me and the other model makers. 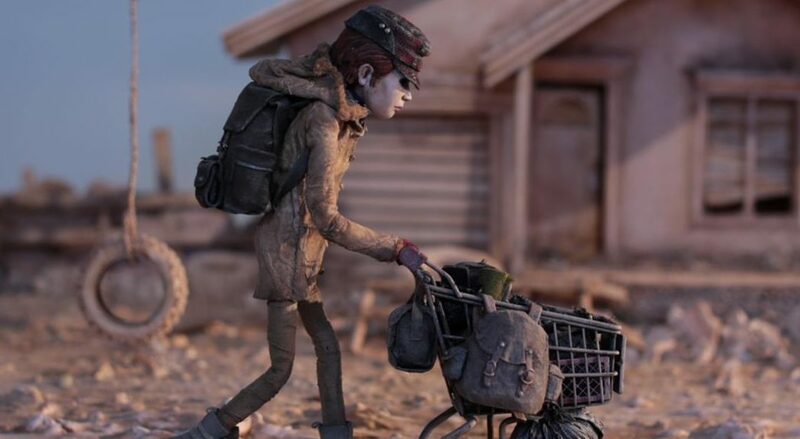 The girl puppet was the main character for the music video. 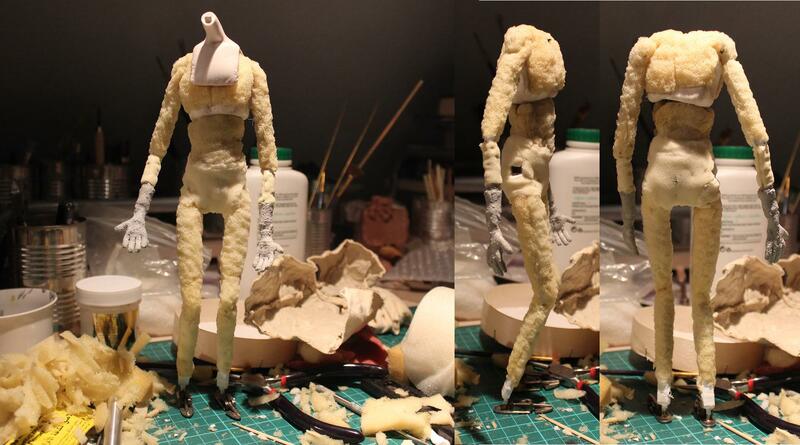 I built the puppet’s armature (a re-built, repurposing an old armature) and bulked out her body with lightweight sculpey and foam. I also made her hands as well as her little boots. The costume, backpack and head were made by other model makers involved in the project. The left picture above is a still from the final video. 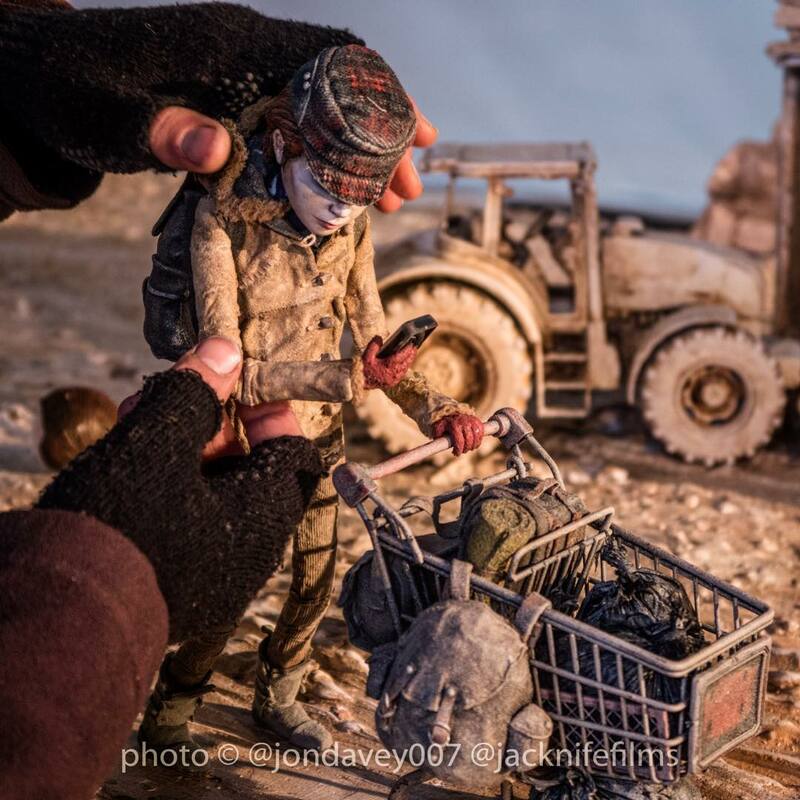 The right picture is taken behind the scenes with my hands animating the puppet (pictures by DOP Jon Davey). I was also key animator on the project (see animation showreel). In the image gallery below are some pictures and more details about the fabrication process. 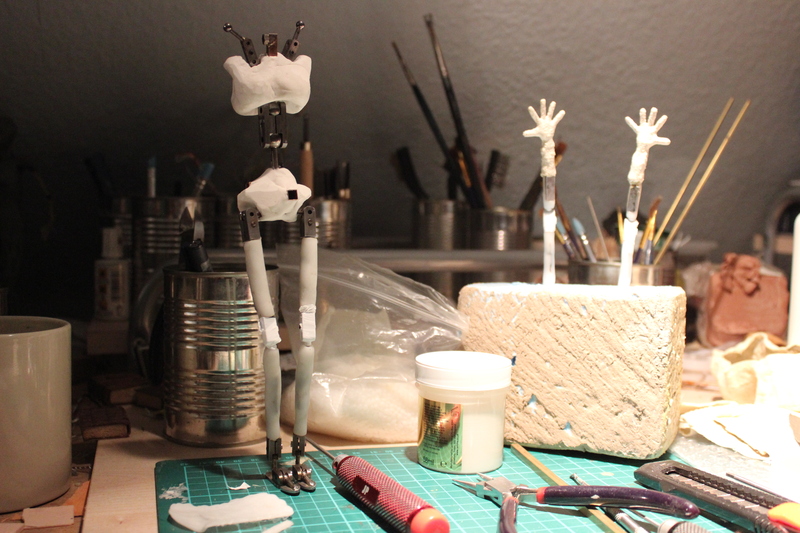 Armature in progress (left) and assembled (right). 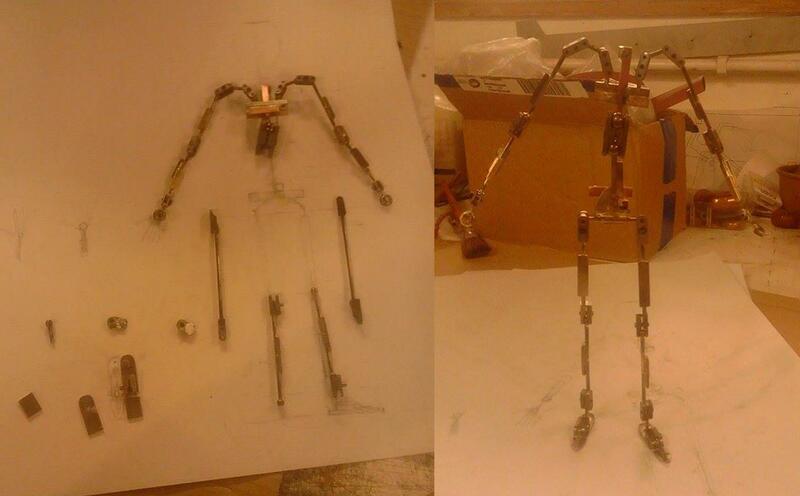 I repurposed an old armature, changed the lengths and re-soldered all the limbs, re-designed the torso piece and built new feet with an extra joint for the toes. Bulking out arms and legs with polymorph, building up the hands with foam and latex. Adding lightweight sculpey hip and torso cores for solid grip points. Adding lightweight sculpey hip and torso cores for solid grip points. Side view. Foam build up bulking out of the body. Hands (gloves) are foam and latex. The final versions had the colour changed to red. 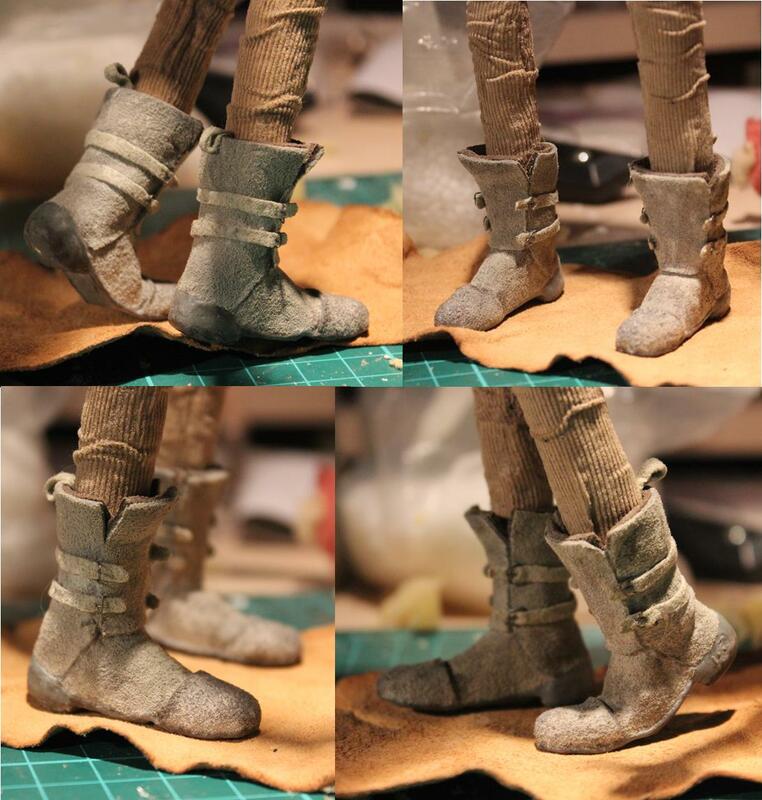 The finished boots I made for the puppet, all made from foam and latex. 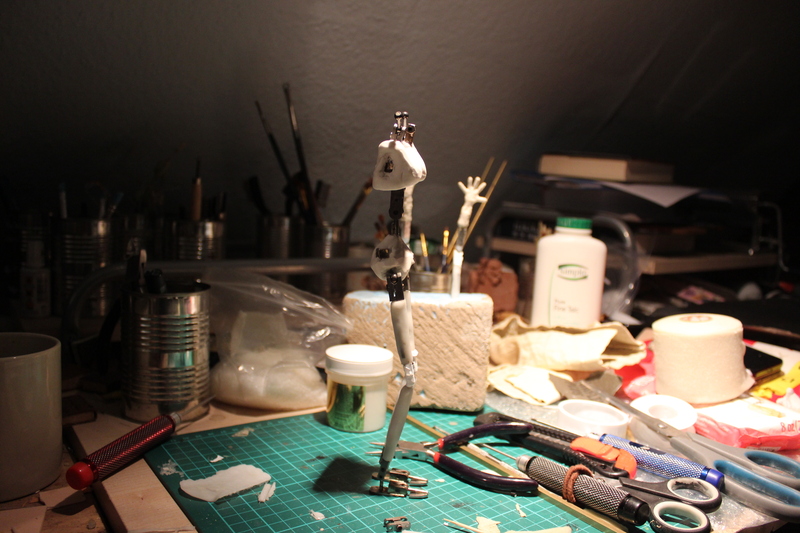 Underneath the armature is bulked out and shaped with milliput and foam. The feet have holes for pin ‘tie downs’, front and back.